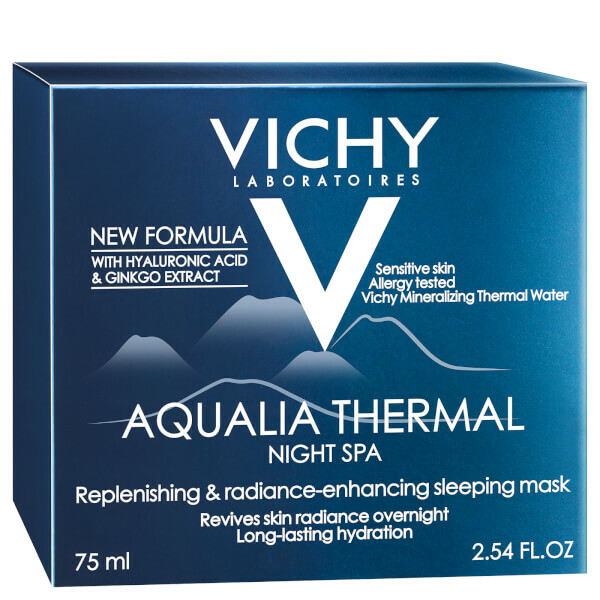 Deeply replenish skin overnight with Vichy's Aqualia Thermal Night Spa; a rejuvenating face mask that works to infuse long-lasting moisture into your complexion. 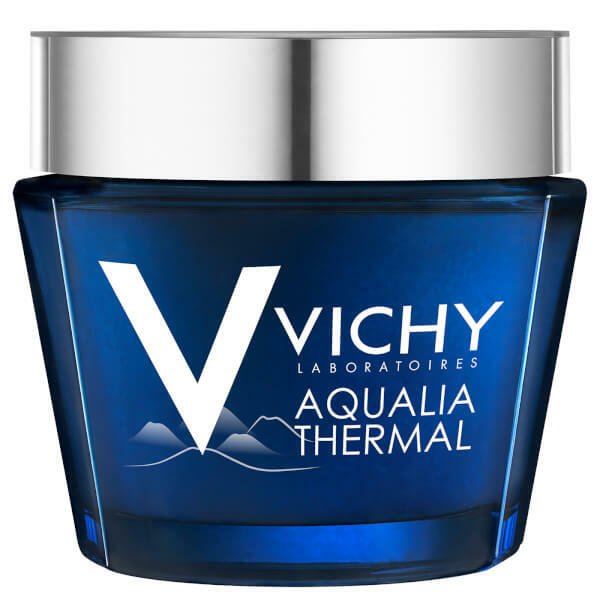 Catering for dehydrated, sensitive skin, its innovative formula is enriched with the brand's Thermal Spa Water, an ingredient containing a high concentration of Hyaluronic Acid and patented Aquabioryl™. Suitable for all skin types, the velvety, lightweight gel mask soothes and hydrates, whilst minimising signs of fatigue to reveal a refreshed, supple and super soft complexion come morning. E.N. Tested on sensitive skin under dermatological control. Hypoallergenic. Paraben free. Apply a thick layer to face and neck (1-2 times per week). 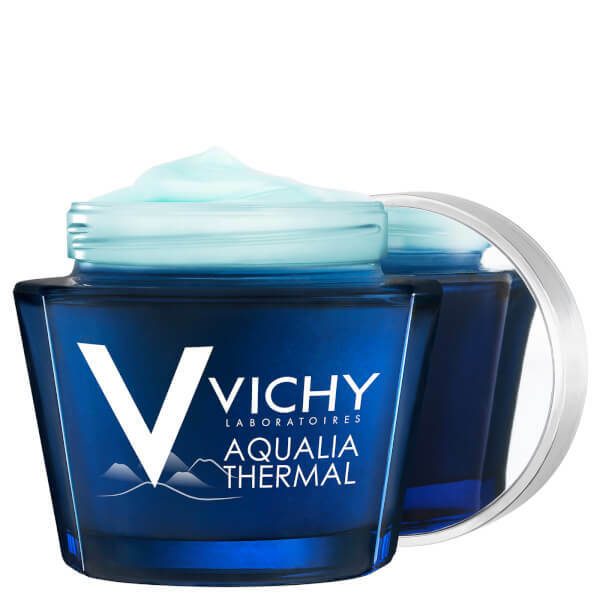 Close your eyes, and let this fresh aqua-gel infuse the skin for 10-15 minutes. Breathe in and take the time to appreciate the refreshing feeling of the product. That's it, now get ready to go to sleep! Aqua / Water, Glycerin, Dimethicone, Caprylic/Capric Triglyceride, Squalane, Ammonium Polyacryldimethyltauramide / Ammonium Polyacryloyldimethyl Taurate, CI 42090 / Blue 1, CI 42053 / Green 3, Dimethiconol, Sodium Hyaluronate, Phenoxyethanol, Poloxamer 338, Disodium Edta, Caprylyl Glycol, Citric Acid, Biosaccharide Gum-1, Xanthan Gum, Parfum / Fragrance Code F.I.L. : B159170/2.